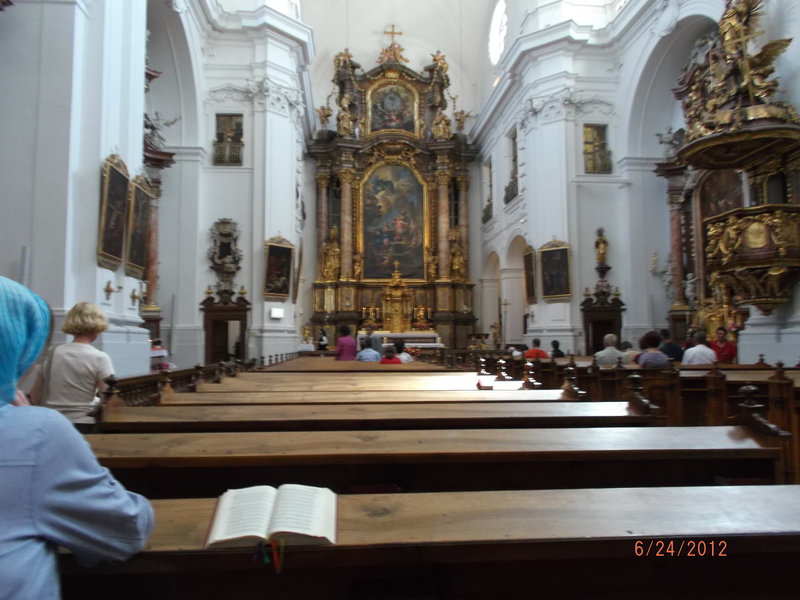 Today I went to the 9:00 AM mass at the Church of the Carmelites (a beautifully restored Baroque church with much ornamentation and a working pipe organ). 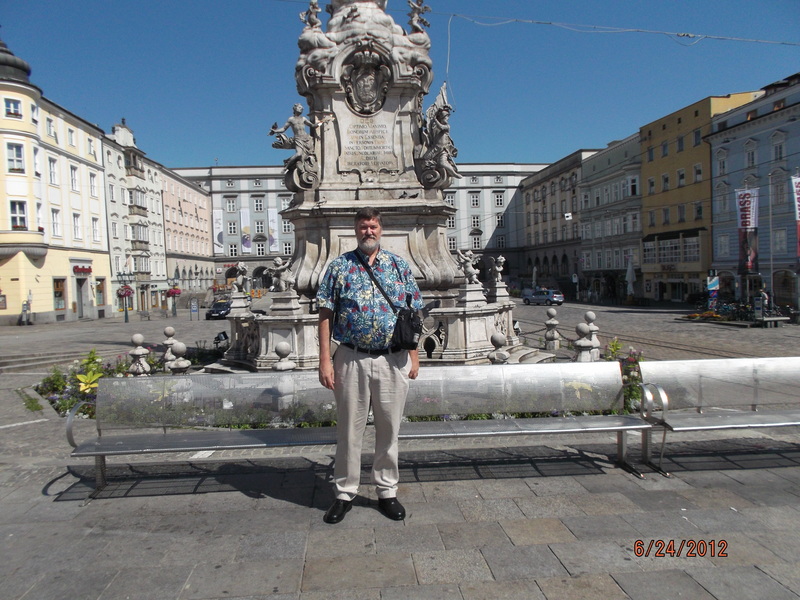 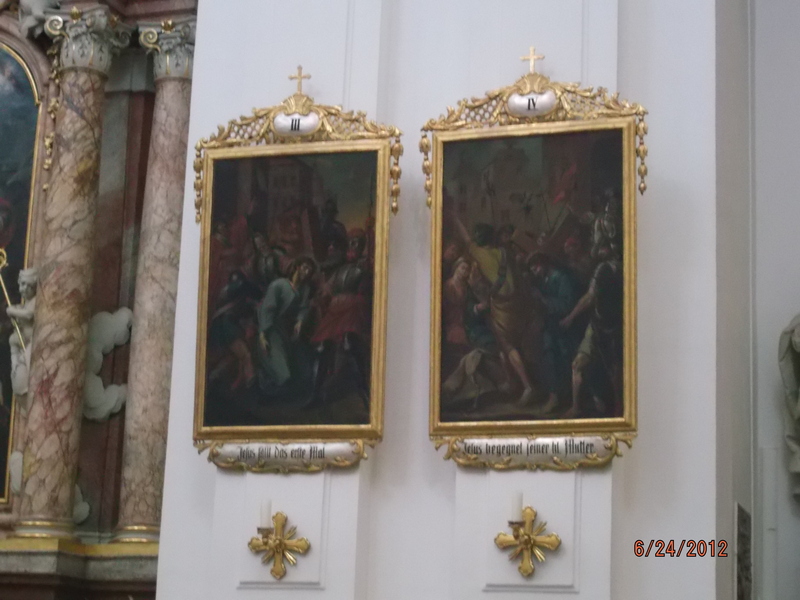 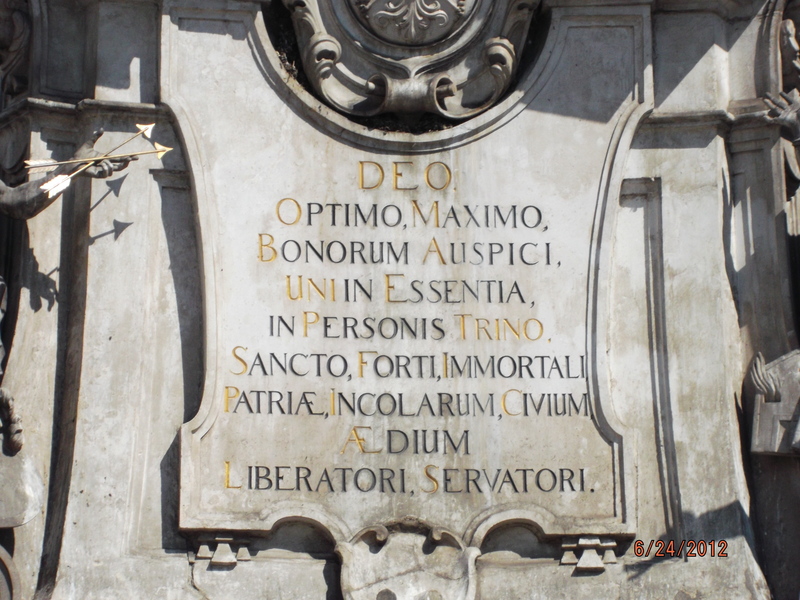 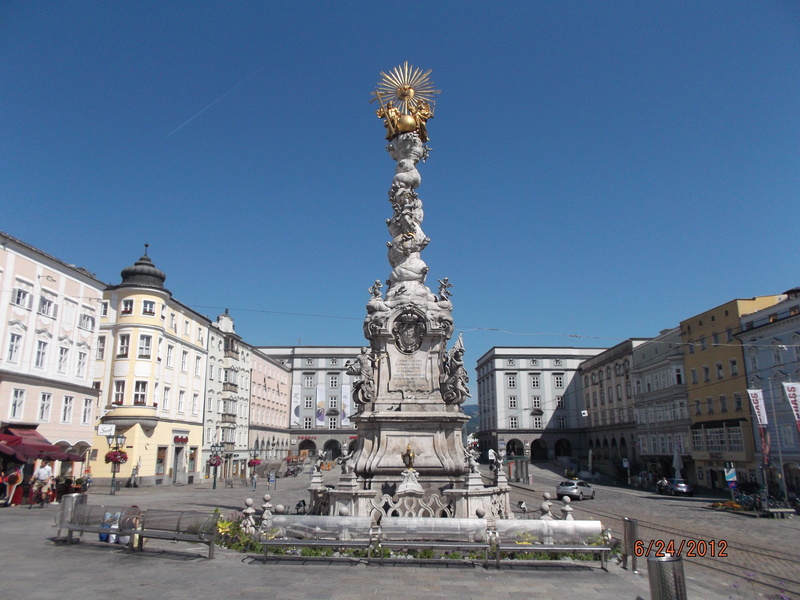 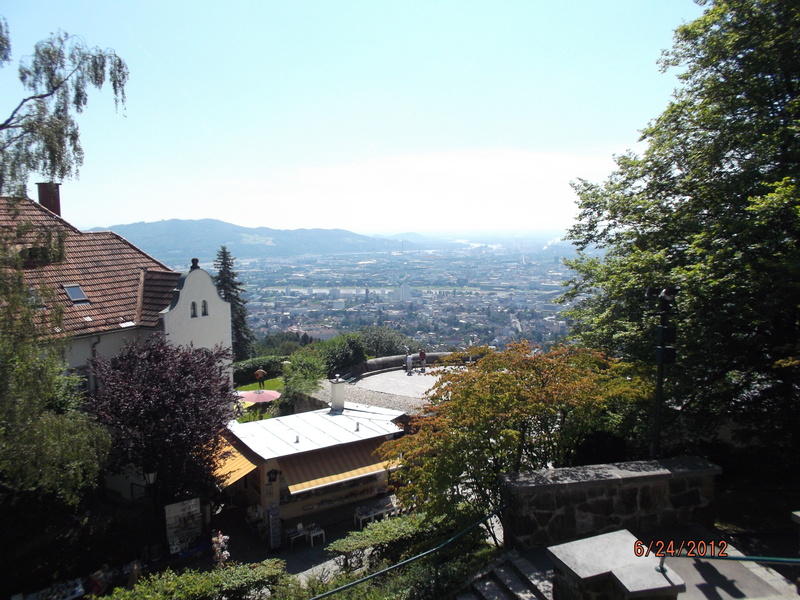 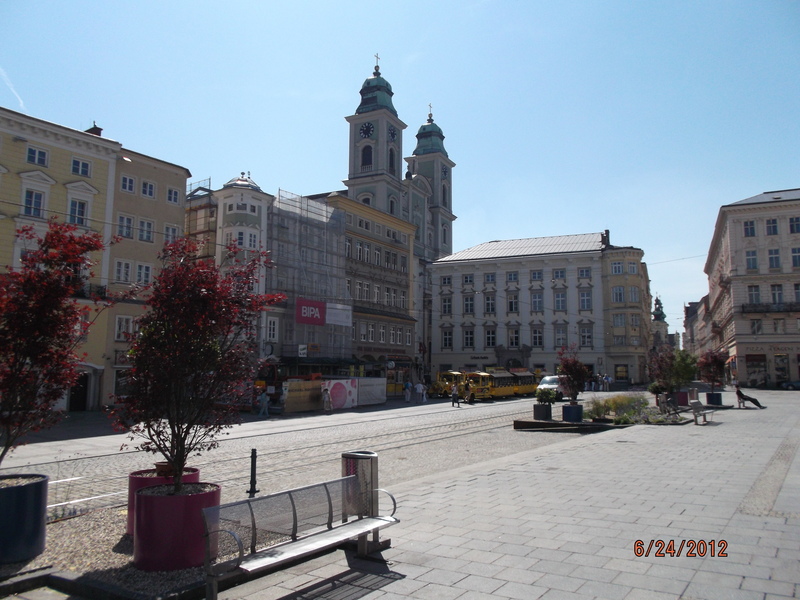 I then rode the tram up to Postlingberg Church (the highest point in Linz and a commanding view of the valley), toured the Arts Electronica building, and had goulash and a Linzer torte (oldest cake recipe in the world dating to 1653) with Jerry and Barbara Young. 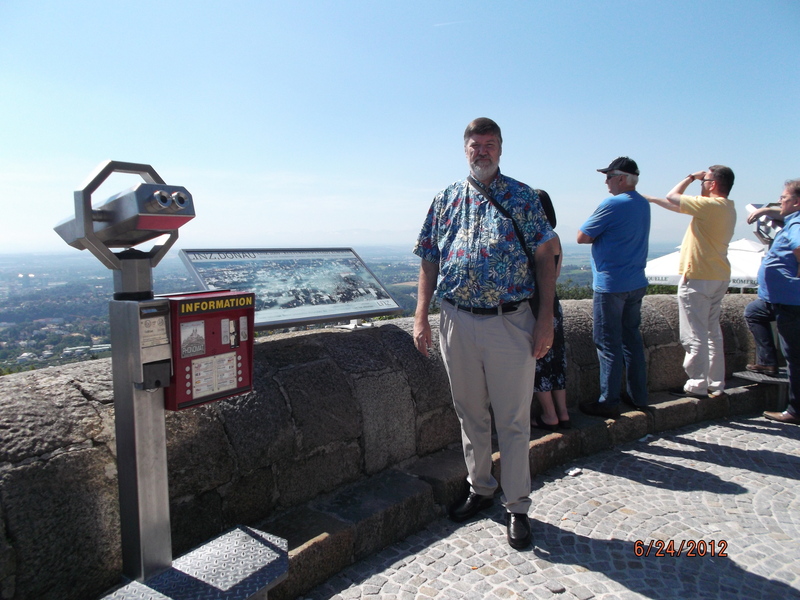 I later helped with the Young Tuba Artist competition and finished off the day with an outstanding couscous chicken salad with lemon dressing at McDonalds. 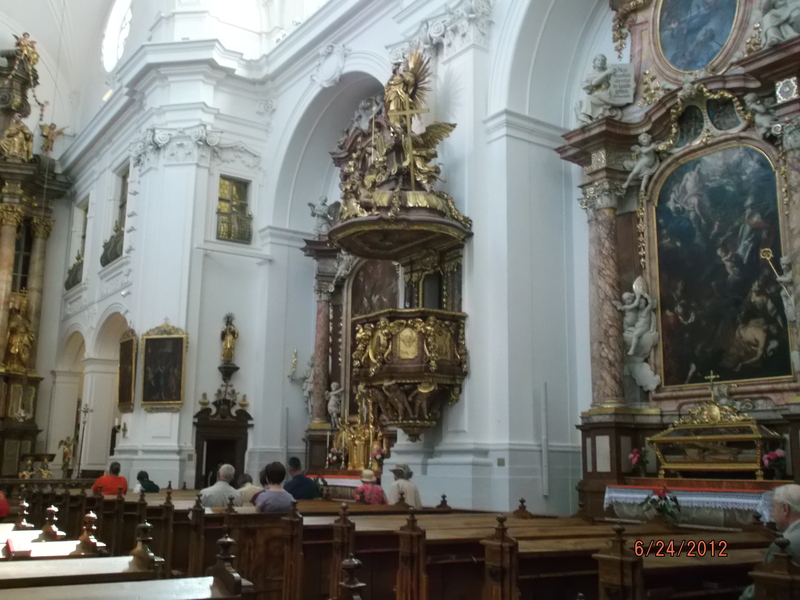 Podium no longer used – note the coffin to the right at the Carmelite Church. 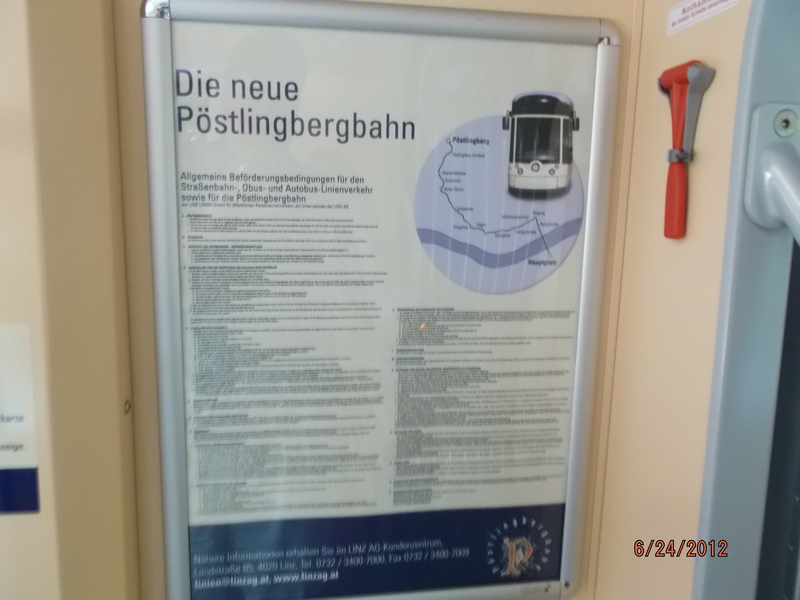 Postlingberg tram at top of the line. 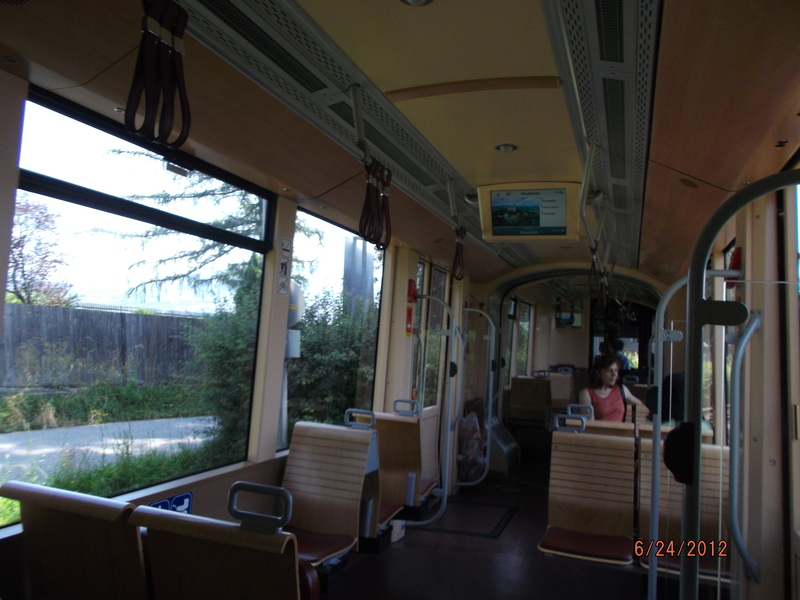 Inside Postlingberg tram – each car had an HD screen with each stop and time listed in order of arrival. 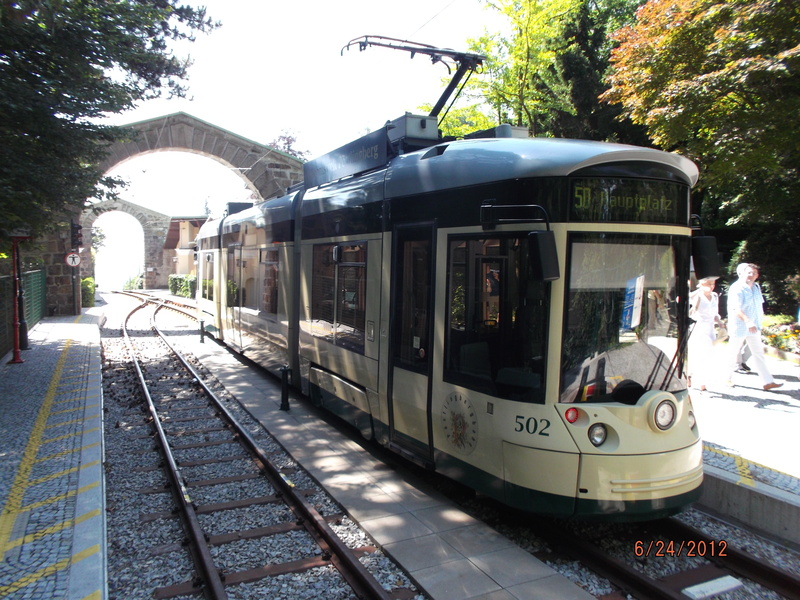 The operator also called out each stop there and back. 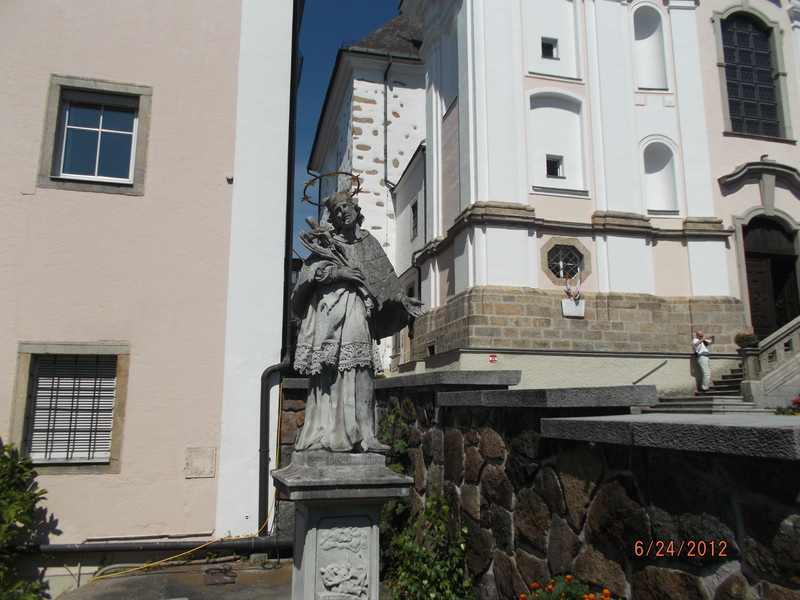 St. John Neromuk statue next to Postlingberg Church. 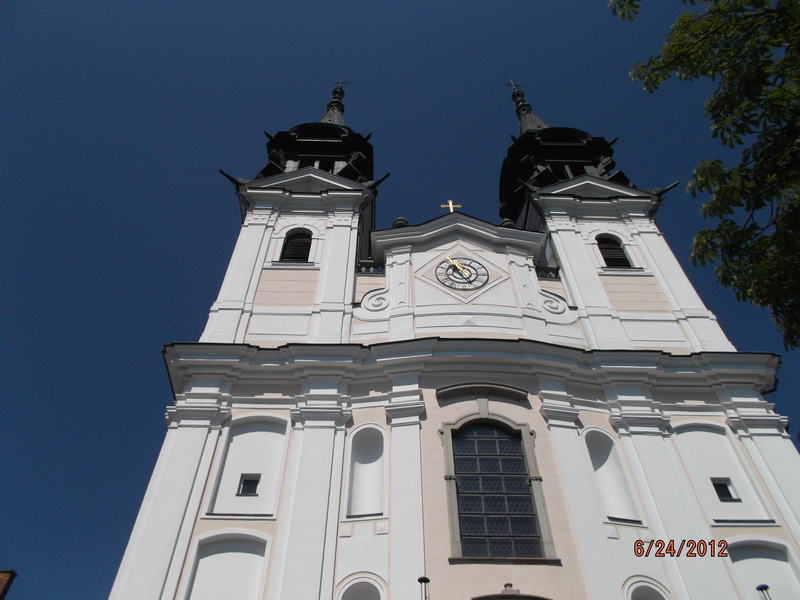 Another facade view of Postlingberg Church. 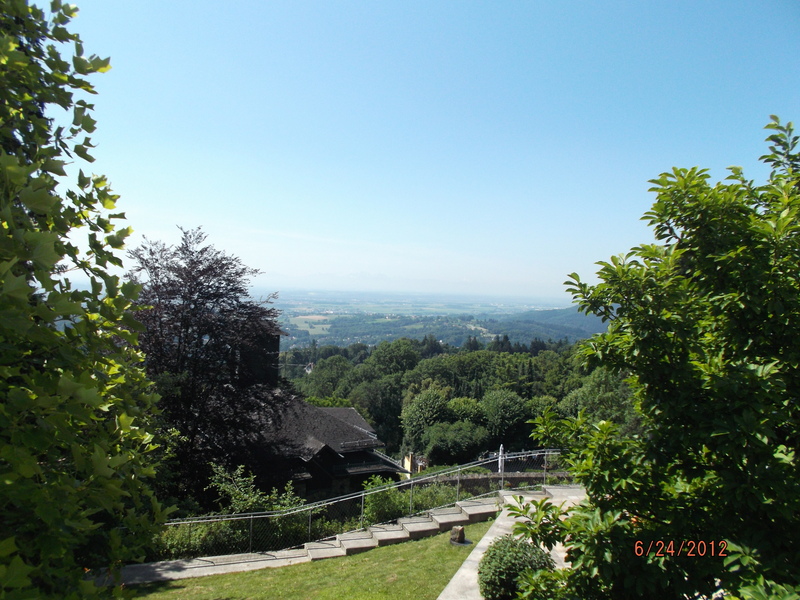 View from Postlingberg Church front. 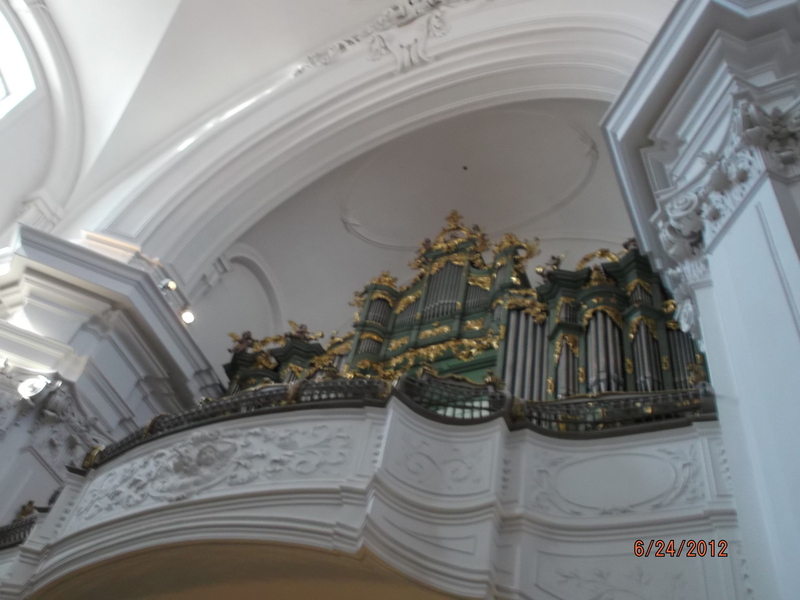 Another view from Postlingberg Church. 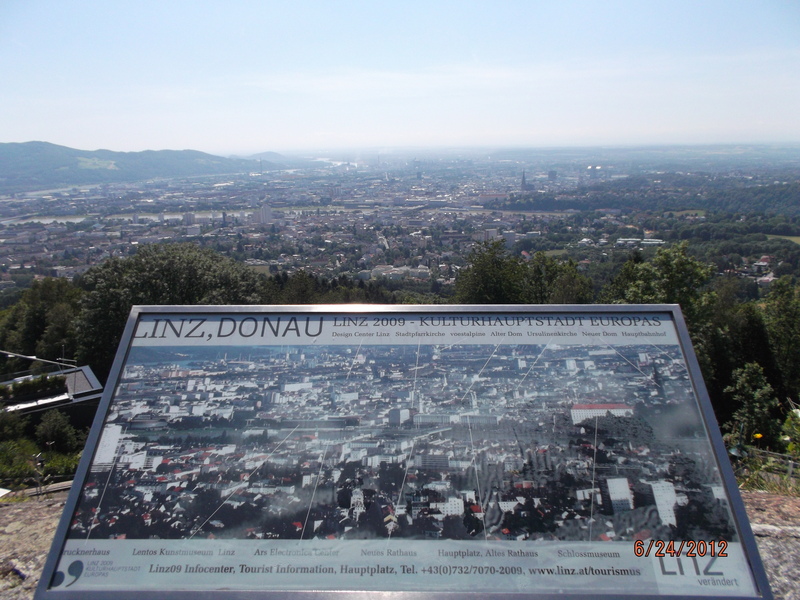 View of Linz from Postlingberg overlook. 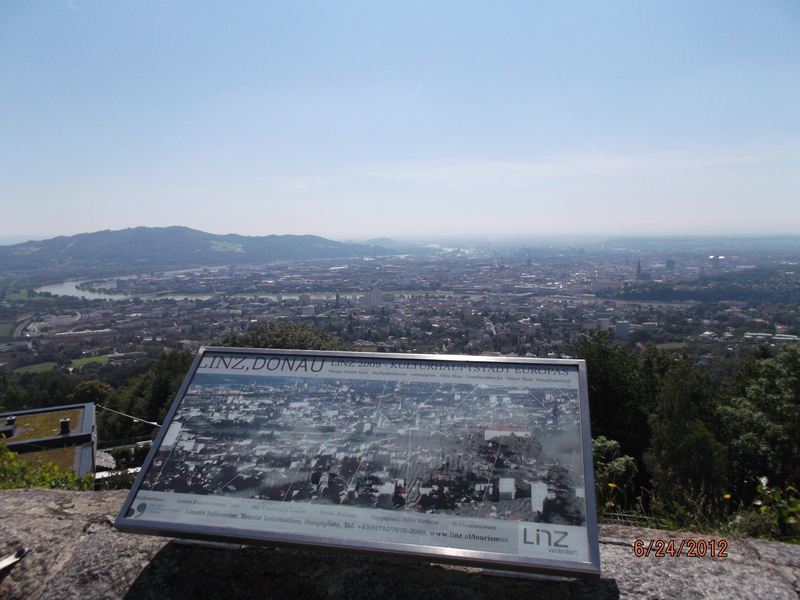 Another picture of the Linz map and view at Postlingberg overlook. 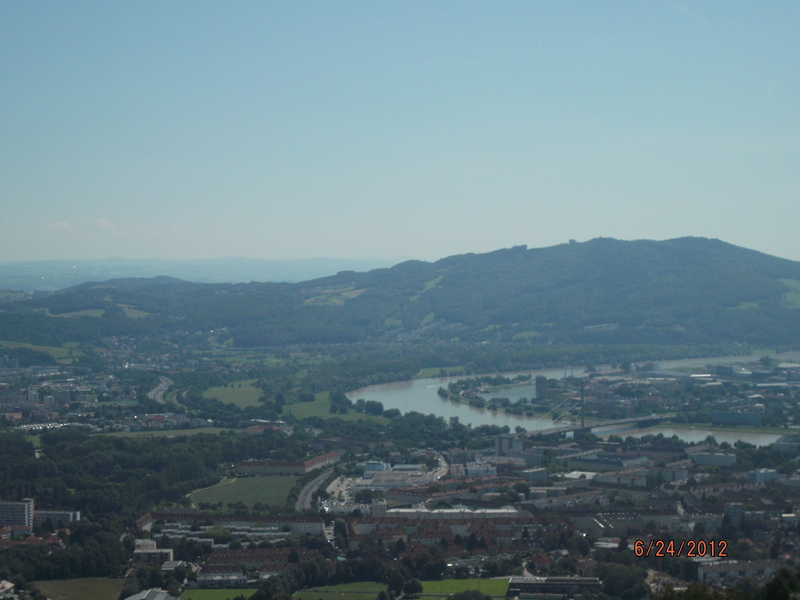 Linz where the Danube River bends around the town. 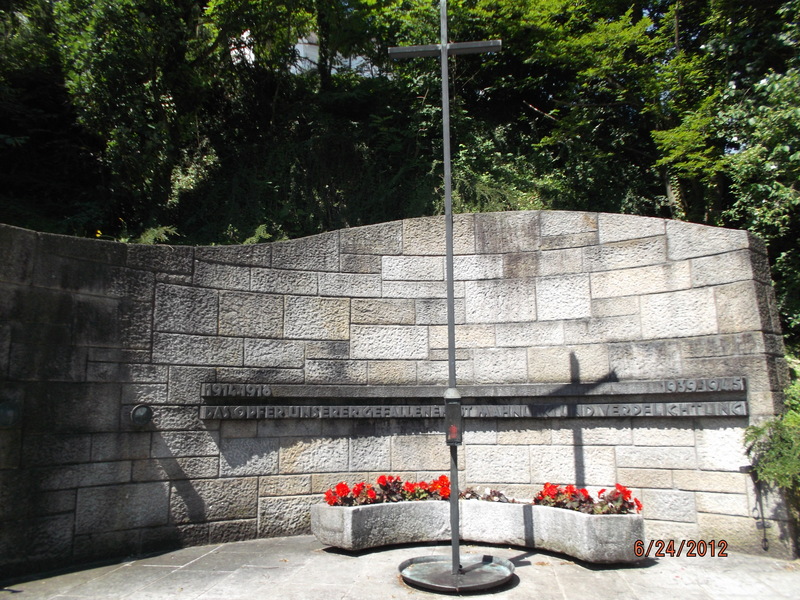 Postlingberg Church shrine honoring German war dead 1914-1918 and 1939-1945. 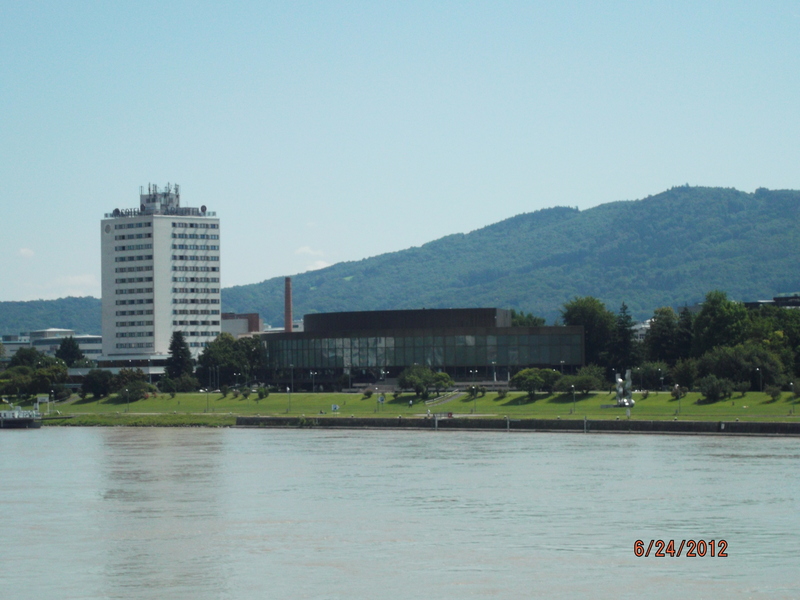 Brucknerhaus and Arcotel Hotel from the north side of the Danube river. 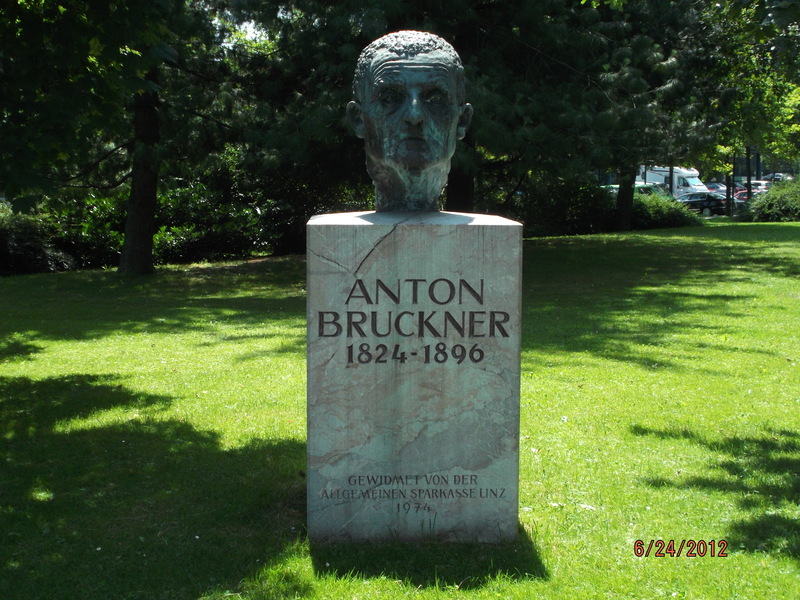 bust of Anton Bruckner on grounds of Brucknerhaus. 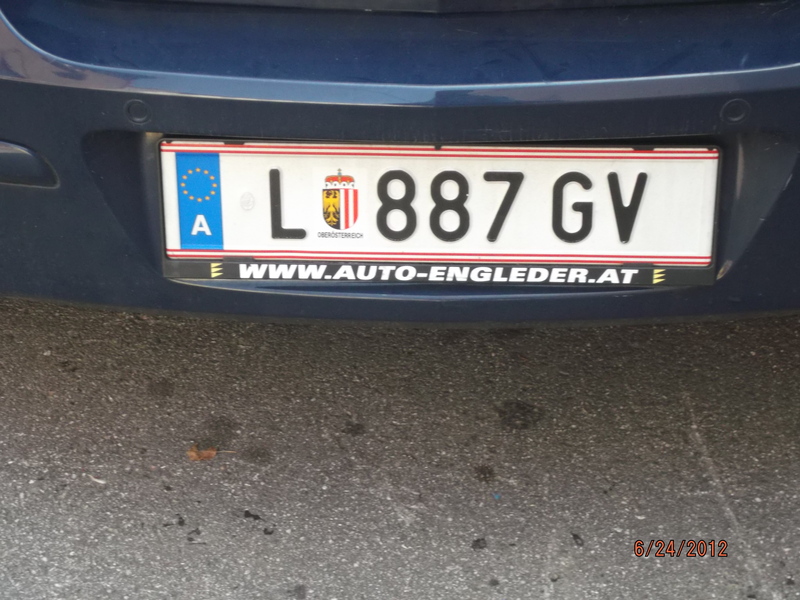 Typical Austrian car license plate with Austrian symbol and association with the Euro Zone.